Are you to WARM in some rooms ? To COLD in others ? A home energy assessment audit is a complete, in depth analysis of your home's energy efficiency. At Dynamic we have the training, to perform the In-Home Survey Report with Diagnostics. We are also on the approved list of energy auditors with the State of Virginia Department of Energy. During the inspection procedure, as a certified BPI Analyst and a Level II Infrared Thermography I will complete an on-site visual evaluation of the home's energy features. Than using diagnostic testing equipment I will assess your home's energy performance. All data collected will be in a detailed report along with digital photos for your use. By conducting an energy inspection, the auditor is able to identify ways to Increase your homes comfort and reduce home energy cost. Minimizing energy loss could result in dramatic savings to your energy bills long term. Once the audit is completed, you will receive a detailed report of the results. The report will highlight any problems and include the inspectors recommendations on actions that need to be taken to improve comfort and reducing home utility cost. Let us be a part of your next home performance project. 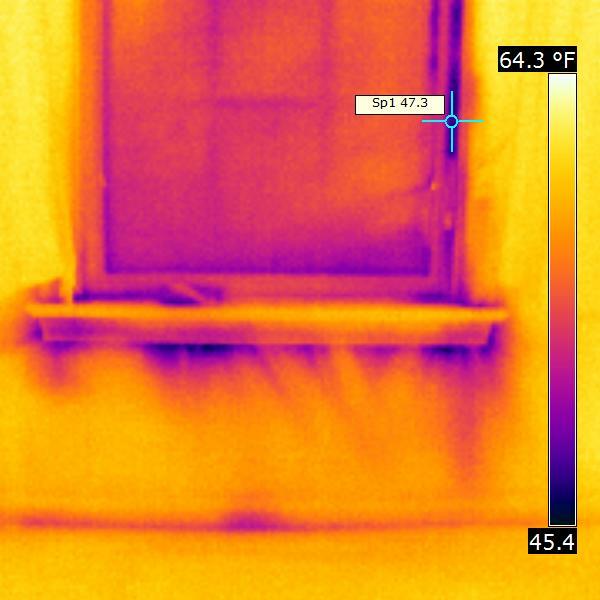 Infrared Thermography is a proven diagnostic technique recommended by the US Department of Energy for identifying areas of heat or cooling loss. Considering your heating and cooling load makes up the largest percentage of your actual energy bill, a thermal scan of your home can identify where those wasted dollars are going, no matter what type of heating or cooling system you have. 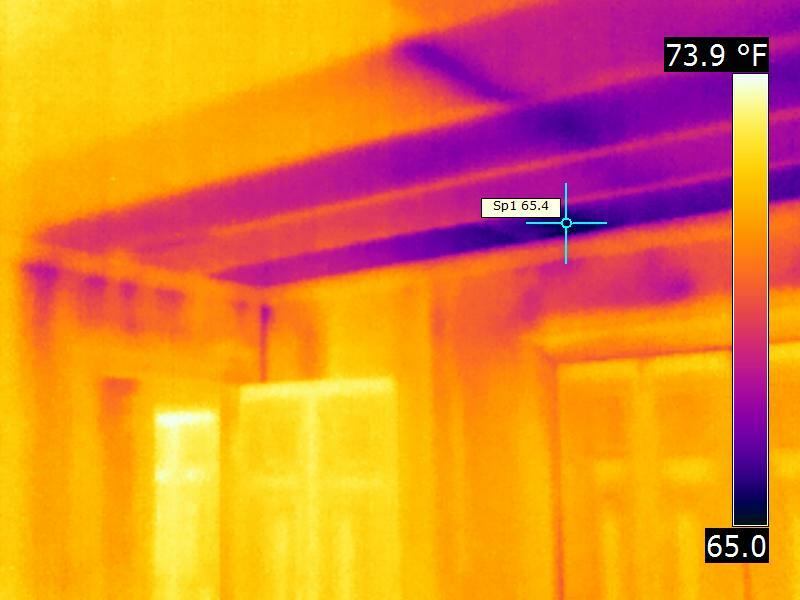 Our infrared survey of the building will be focused on the heat or cooling loss by finding damaged, misplaced or missing insulation in the exterior walls, ceilings, and floors. Note: that proper insulation alone does not stop air infiltration in your home. Our enhanced survey is a more detailed analysis of your home with the inclusion of a Blower Door Fan Test on your home. A Blower Door is used to find air leakage in your home, by quantitatively measuring air changes per hour. A Blower Door is a powerful fan that mounts into the frame of an exterior door. The fan pulls air out of the house, lowering the air pressure inside. The higher outside air pressure then flows in through all unsealed cracks and openings so we can locate the leakage areas. Natural air leakage, or air infiltration, occurs when outside air enters a house uncontrollably through cracks and openings. Properly air sealing such cracks and openings in your home can significantly reduce heating and cooling costs, improve building durability, and create a healthier indoor environment. 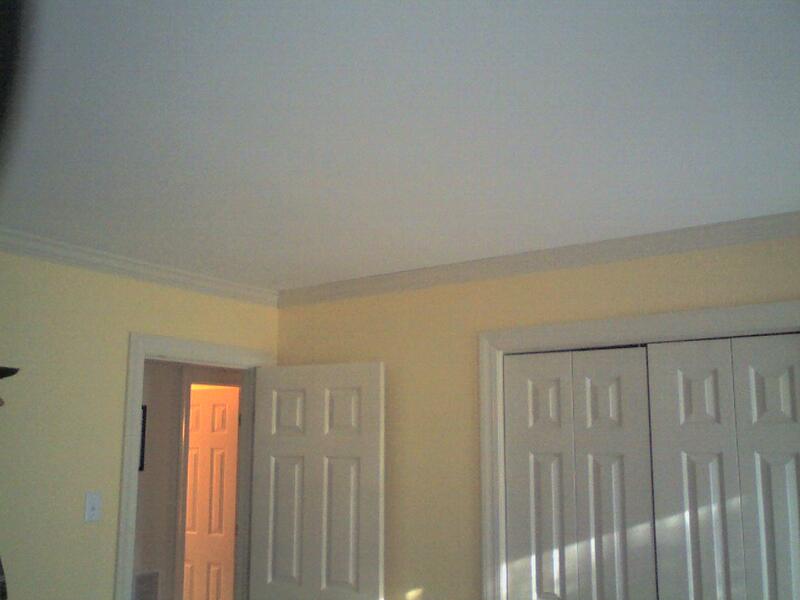 Our energy audit also includes duct pressure testing, to check for air leaks in the duct system. Duct pressure testing is the process of using a Duct Blaster to pressurize the duct system and measure the amount of airflow that is lost through the duct system. Duct leakage is the loss of conditioned air that leaks from openings in the homes supply ducts. It can also be the leakage of unconditioned air coming into the return duct system which can be poor air quality, leading to poor indoor air quality. A Pressure Pan can also be used to locate duct leaks to the outdoors while the Blower Door is on. With the building de-pressurized to 50pa, a pressure Pan can be placed over each register, to take a measurement of the pressure between the duct and the room where the register is located. The larger the pressure difference, the larger the leak(s) in the nearby ducts. This can also be used after duct repairs, to determine if all major leakage sites have been repaired. The ducts that are part of the heating and cooling system offer one of the best opportunities to increase your energy efficiency, increase your comfort, and lower your energy bills. The clear and concise report you will receive is easy to understand and will serve as a valuable aid in making the necessary energy improvements, wither you do the work yourself or hire a professional Home Performance Contractor. and put the Dynamic Energy Team to work for you ! Ed Clowes, owner of Dynamic Home Inspection, joined other volunteers in remodeling of the Annex to A Place for Girls in Chesapeake, Virginia. 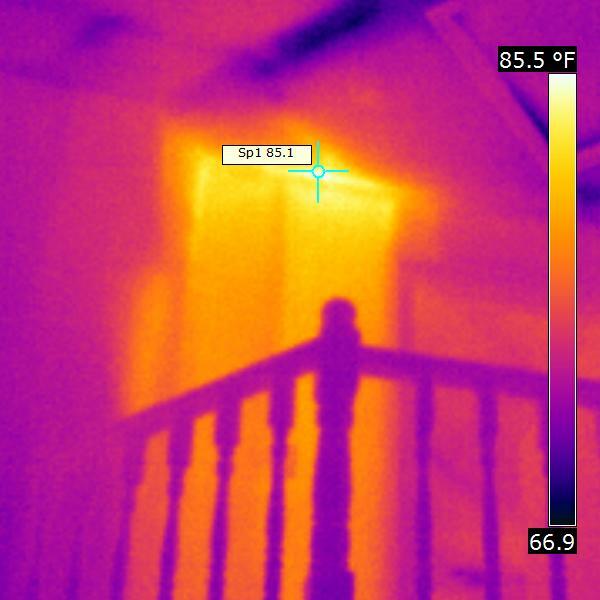 Infrared imaging was used to identify areas of energy loss in a house to be used by the Girl Scout Council of Colonial Coast. Dynamic Home Inspection is a member in good standing with the United Infrared Network, Energy ScanIR module. As a part of that network we receive specialized support for our customers from industry experts like Greg Stockton & Peter Hopkins. HVAC duct leakage at second floor, no wonder I am cold downstairs ! Not comfortable in some rooms?